ICE London is an international B2B gaming event that brings together international offline and online gaming sectors. The sponsors of this year’s CPZ (Consumer Protection Zone) already managed to generate over 30,000 British Pounds for nonprofit organization and charities that work in the responsible gambling space. The wave of the progressive gambling operators that pledges sponsorship included GVC Holding, 888 Holdings, Videoslots, Leo Vegas, and Kindred. Ewa Bakun, the person who is going to introduce the CPZ to this year’s ICE London, stated that the CPZ is one of the main focal points of Ice London’s show floor. He also added that the CPZ is dedicated, in full, to protect consumers and responsible gambling. He then said that they are delighted to have such a fantastic set of proactive sponsors from the gambling industry that are involved directly in support of the responsible and proactive approach of gambling. Ewa Bakun stated that it is very encouraging that many gambling operators involve themselves with the initiative, as all of the proceeds of this sponsorship are going to go to a variety of charities or one charity. The decision is going to depend on the feedback of the sponsors as the fundraising keeps going until and during the ICE London event. In addition to the existing sponsors, the CPZ is looking forward to expanding its sponsors’ platform with more supports to their case. These sponsors can be commercial entities, treatment agencies, research institutions or regulators, as everybody who is involved in the industry is welcomed. ICE London 2018 is going to feature a unique number of attendees, with a record of 33,536. The figure represents an eleven percent increase from last year, and also a milestone that constitutes the event’s 7th year of expansion and growth. The density of the ICE event kept on increasing from one year to another, with the number of visitors for each stand rising by 17% and the number of people per sq meter increased by twelve percent. The reason behind these impressive number is that ICE London has managed to demonstrate a unique ability when it comes to engaging with gaming professionals around the world. Therefore, the exhibition experience a surge of visitors that come from significant growth areas around the world, especially North America, Africa and South East Asia with 33 percent, 23 percent and eighteen percent respectively. The CPZ is going to feature a wide array of some of the most forward-thinking and responsible gambling organizations from around the world. They will partake in a comprehensive agenda of discussions and presentations. One of the primary key points of these discussions is going to be the Responsible Player Journey, which starts at the game idea for the design, through the gameplay, intervention, interaction, and monitoring, to ultimate, blocking and self-exclusion. 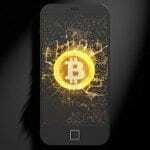 Is Bitcoin Still a Popular Banking Methods at Online Casinos – Why?